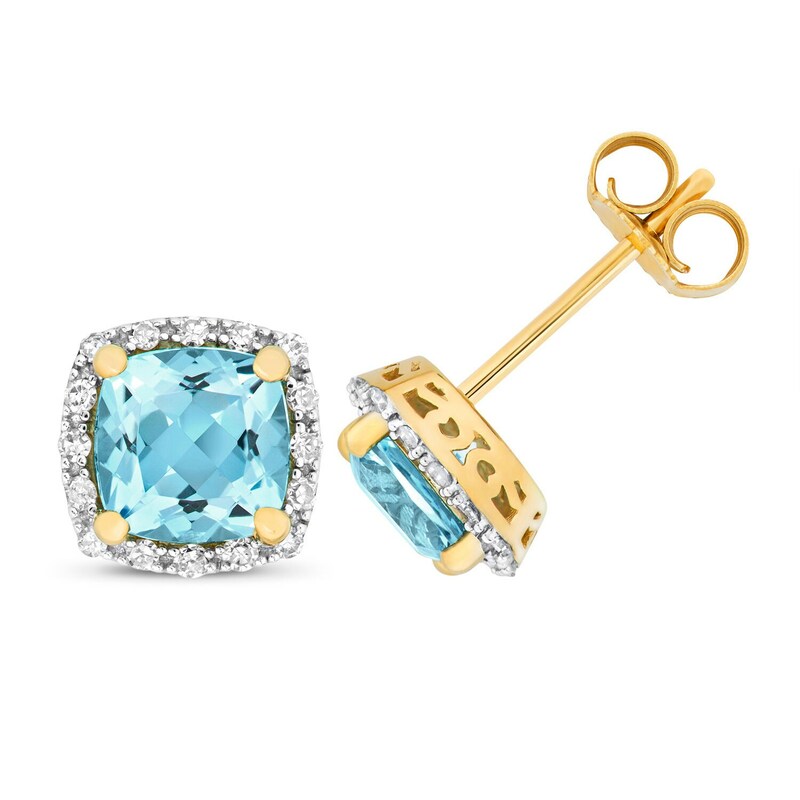 A dainty pair of 9ct yellow gold stud earrings claw set with brilliant round cut diamonds and central cushion cut real light Swiss blue topaz gemstones. Swiss blue topaz is an intense blue topaz that is described as vivid, electric blue and is one of the most popular topaz gemstones. Topaz size 6x6mm. Post and butterfly fastening.